Long time Star Wars fans will be familiar with Steve Sansweet, the former head of fan relations at Lucasfilm. While Sansweet retired from Lucasfilm in 2011, he remains active in the Star Wars fan community as the owner of the world's largest Star Wars collection, known as Rancho Obi-Wan. Unfortunately, Rancho Obi-Wan was the victim of a major theft over the past few years. Sansweet released a statement today, informing fans of the situation. 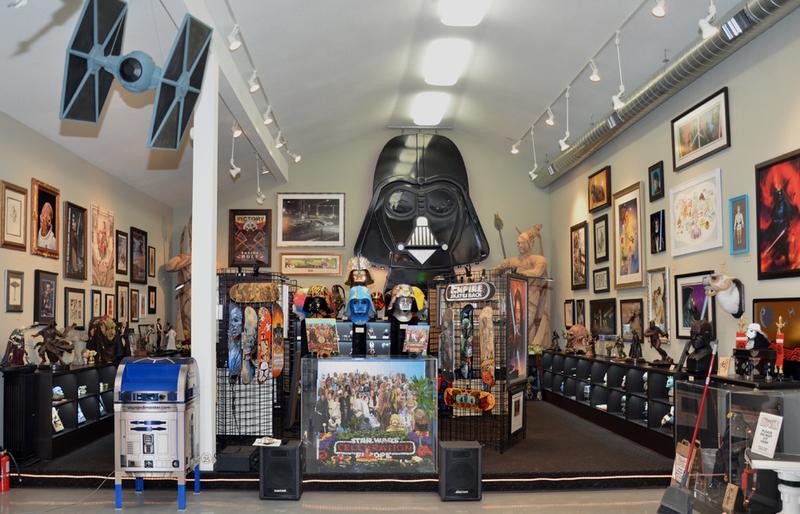 "If you have any information about Carl Cunningham’s activities or items that he has sold please write to tips@ranchoobiwan.org. If you think you may have purchased a stolen item, please be patient while we work through this process. It is our goal to resolve this situation as quickly as possible and to continue to use the collection at Rancho Obi-Wan to “Inspire through the Force” despite the destruction caused by one person." This is a terribly unfortunate situation. Sansweet has been a wonderful ambassador to the Star Wars community for the past few decades and we hope that the situation is resolve quickly and justly.